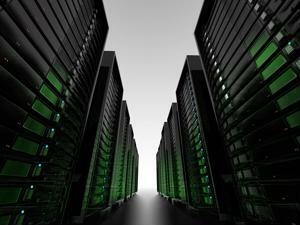 Running a data center is no easy feat. The average center takes an extraordinary amout of energy to maintain, with data room cooling systems, server equipment and infrastructure all consuming massive amounts of power. Supplying sufficient energy can be a drain on finances as well as the environment. But according to Tech Page One, data centers can save energy and money through an unlikely source - backup power. The reality is that most data centers only actively use a fraction of the energy that is being funneled in. According to data center expert Aaron Rallo, many storage facilities use a mere 10 to 15 percent of the energy they're getting to power active servers leaving a surplus of energy that can potentially go to waste. Rallo said that within the data center sphere, energy improvement options have been largely overlooked. In order to avoid such wastefulness, Tech Page One encouraged data center operators to track, monitor and save the energy they are not using. This can be done through the implementation of smart grid technology, which works to automate the reduction of energy costs. The smart grid offered by Hewlett Packard, for instance, works on its own to control and regulate energy use to ensure the most efficient methods possible. A smart grid can work alongside temperature monitor technology to make sure that the center operates in an optimal range. All too often businesses simply turn the other cheek when confronted with the sheer amount of energy going into their data centers. But a smart grid makes wastefulness impossible to ignore and easier to do something about, since it provides a steady stream of communication about power consumption. By constantly aggregating data in an automated process, the smart grid emerges as an integral part of data center operations.